The name of Ludwig Landgrebe (1902-1991) is familiar to many phenomenologists. Yet on first thought it is not that easy to situate him within the phenomenological movement. That Landgrebe deserves to be cited in the history of this movement is something that Herbert Spiegelberg (History of the Phenomenological Movement) as well as Bernhard Waldenfels (Das Zwischenreich des Dialogs) made clear. However the task remains to undertake a detailed investigation into his contributions and to assess to what extent they may have shaped our understanding of major phenomenological problems or thinkers such as Husserl or Heidegger, as well as to appreciate how some of these contributions are still highly relevant to today’s phenomenological thinking – should they need to be enriched or criticized. From 1923 to 1928 Landgrebe was Husserl’s personal assistant in Freiburg while attending Heidegger’s lecture courses. He defended his dissertation on Dilthey in 1927. He passed his Habilitation in Prague in 1935 on A. Marty. There he also met with J. Patocka, with whom he became close friend. 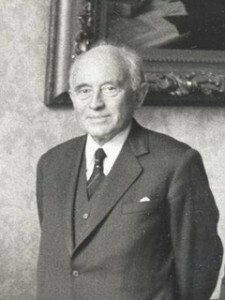 In 1939 he settled briefly in Leuven where he came together again with E. Fink, who succeeded him as Husserl’s assistant. The war held Landgrebe away from philosophy until 1945, when he could eventually return to the University, first in Hamburg, then in Kiel, and finally in Cologne, where he directed the Husserl Archives there together with K.-H. Volkmann-Schluck and trained soon-to-be prominent Husserl scholars such as U. Claesges, K. Held, and P. Janssen. Landgrebe’s contributions to phenomenology are manifold. His work on Husserl’s manuscripts (esp. Erste Philosophie, Ideen II-III, Erfahrung und Urteil) offered key texts that were to deeply influence scholarship. The very same work also made him one the first expert in genetic phenomenology – which he notably interpreted as a radicalization of the transcendental approach to subjectivity. He indeed wrote pioneering and original essays on a whole range of topics such as, i.a., passivity, lifeworld, and the living body. In the same vein he was also one of the first to pay full attention to the problem of history in regard to and within phenomenology, an area of research for which his profound knowledge of and old sympathy for Dilthey can surely account. 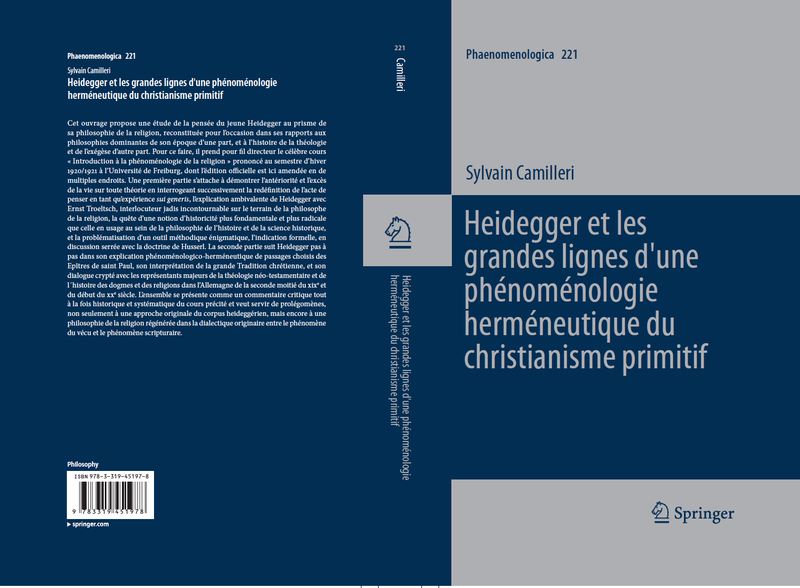 Since history is hardly separable from metaphysics on the one hand and from politics on the other, Landgrebe also held a serious interest in theology as well as in the idea of dialectics, especially in Hegel and Marx, whom he mostly read in a phenomenological manner. In addition, one should also mention his most elaborated interpretation of the concept of facticity that is to be found in Heidegger’s early philosophy. It is not exaggerated to say that Landgrebe was a full-fledged phenomenologist. This workshop sets itself the task to reestablish this fact and to lean on Landgrebe’s contributions to phenomenology in order to reinvigorate central questions of our scholarship. – Issues in genetic phenomenology: experience, passivity, lifeworld, living body, movement, time, historicity, etc. The languages of the conference will be English, French, and German. Please send a title and an abstract (5 to 15 lines) before May 5th, 2017 to the following address: sylvain.camilleri@uclouvain.be. Acceptance or refusal will be notified by May 12th, 2017. Unfortunately we cannot cover accommodation and travel costs. We will advise you the cheapest fares for trains, flights and hotels and we will take care of meals during the conference. See “Chronologisches Verzeichnis sämtlicher Schriften von 1928 bis 1981,” in L. Landgrebe, Faktizität und Individuation. Studien zu Grundfragen der Phänomenologie (Hamburg: Meiner, 1982), 157–162. One should add to this list a seminal work from 1932, which was discovered in the Patocka-Archives and edited by H.-R. Sepp & K. Novotny recently: Der Begriff des Erlebens (Würzburg: Königshausen & Neumann, 2010).